Posted on 8th September 2018 at 7:18 am. 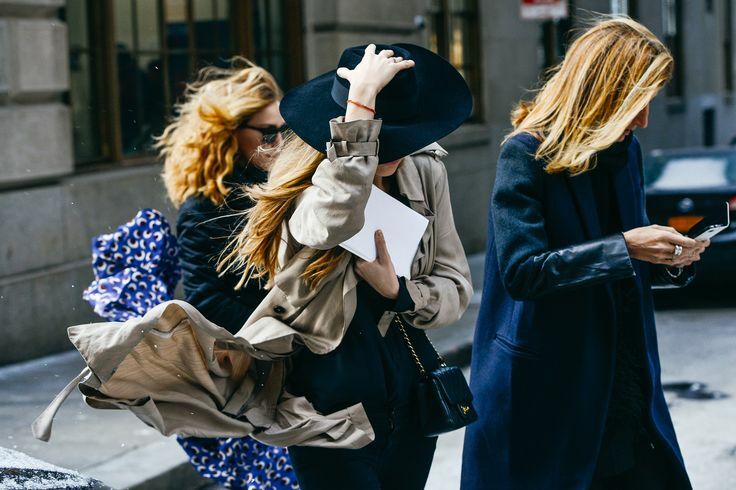 This week there really is only one item that our attention turns to – the trenchcoat. Synonymous with wet weather dressing and looking especially chic on Audrey Hepburn in her Breakfast at Tiffany’s days, it hails from the 19th Century originally as a military style, which later became incarnated as a day-to-day version following World War One. It’s since become the staple of a smart working wardrobe but has particular pertinence this week as the forecast is especially gloomy – the rain just keeps on coming and getting dressed and remaining vaguely put together becomes harder and harder. So step forward the trenchcoat. A classic, it really is its own wonder garment – it almost doesn’t matter what you have on underneath because the trench does all the talking and makes that first great impression. Flat brogues keep it youthful and plays up to its tomboy charms while boots that climb the length of the leg have sass appeal. Wellingtoon boots, even, will work. And that’s it, the outfit is essentially complete. Can it really be that easy? It can – but then where is the fun in that? 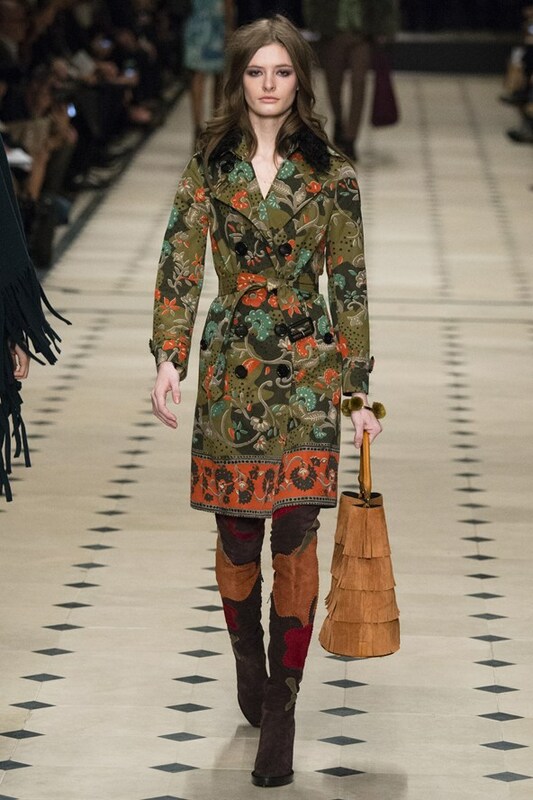 The autumn/winter 2015 catwalks made us rethink what we thought of the humble trench: it was spliced up and cut short at 3.1 Phillip Lim, transformed into a ballgown hybrid at Dries Van Noten and rendered in a poetic paisley at Burberry – for whom the trench really is its calling card. Essentially, when it comes to wearing it this week, it is all about belting it and keeping the rain out. You’ll need a serious and substantial umbrella to go with it – not one that will blow inside out when the wind gets a bit too enthusiastic – and we suggest wearing in those autumn boots you should be buying just about now with it too. When there are those odd moments to wear it undone or tied artistically so as to make a splaying blouse construction at the top, a pleated skirt just peeking out from the trench hem below will look seasonally studious. 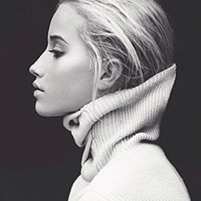 Lengths can be tricky but stick to this styling trick and you will be fine. And remember you still want to let the trench be the focus. 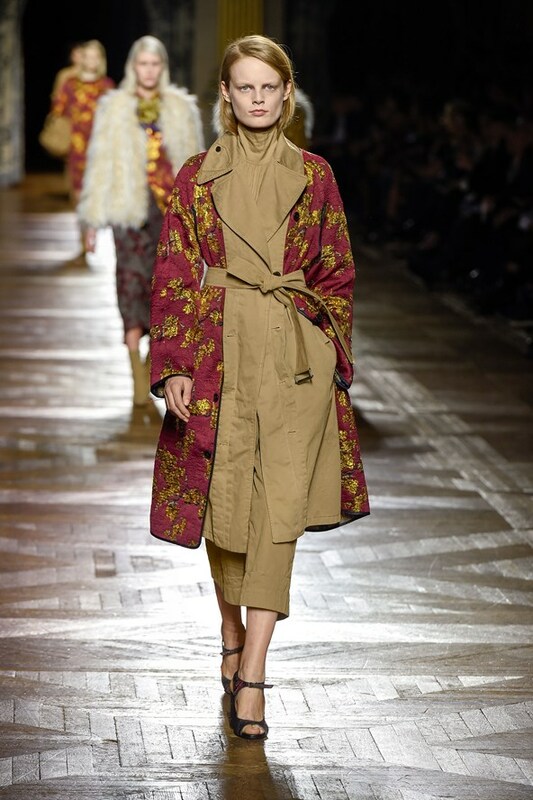 Even when Lim and Van Noten contorted it into their hybrids you knew it was a trench beneath it all. Posted on 20th September 2015 at 6:26 am. When the British Fashion Council announced London Fashion Week would be moving to Brewer Street, I have to confess I was secretly excited. Although Somerset House is iconic – far more attractive than an old, converted car park – it never provided the most palatable offering of eateries, brew houses and late night restaurants to keep everyone entertained.